We’ve all heard the saying “time is money,” and in the construction industry, that phrase is particularly true…but only when time is used effectively. Time management is an essential part of any successful venture. A company that gets the job done quickly and correctly develops a reputation for high-quality work. Here are some tips for staying efficient as a construction professional. Long-term goals give structure to the entire process. By designating timeframes within which each smaller task should be completed, it is easy to evaluate whether you are set to finish by your target date at any time. When first designing your schedule, you should aim to be done before the deadline – this gives you a buffer for unforeseen delays down the road. When developing long-term goals for any project, it is imperative that you take resource availability into account. Making a resource estimate can help. Create a list of which activities will take the most effort and what equipment and materials each will require. Then prioritize the list (see below for more detail). Each stage of the project also needs to be broken into smaller steps. Tasks should then be grouped, putting similar activities together on the schedule. Another way to increase efficiency is sequencing tasks: listing each minute detail that needs to be done and putting them in order. Before you begin each day, think about what you want to get done. What is most important? What did you start yesterday that needs to be finished today? Is there anything you had hoped to get done today that you now realize you can’t, maybe because you lack the resources? Account for these issues, and adapt. If there is a problem with an order of lumber that will affect next week’s goals—but not today’s—the issue still moves to the front of the schedule. When something is time-sensitive, it is imperative to address it quickly, regardless of how it relates to the rest of the prioritized list. The customer’s requirements are top-priority. The first focus of any project should be finishing the client’s top requests. 3. Tight budget? Prioritize lower-cost items. Sometimes a restricted budget can get in the way of finishing everything you planned. Get the most out of what you are given: prioritize less-expensive objectives over more expensive ones. Don’t forget to take your resources into account! Remember that resource estimate you made when setting long-term goals? Use it to maximize efficiency by completing tasks that take less time and manpower before ones that use more. That way, you get as many done as possible. Having a watch or clock that is visible at all times reduces the likelihood of losing track of time. Things are going to go differently than you plan. The important thing is to bounce back as quickly as possible. Research shows that holding on to worry and anxiety decrease your efficiency and even impair your brain’s ability to process. Take a deep breath, relax, and apply yourself to the problem. You’ll be more effective that way. Delegate whenever possible. It is not only more productive because you can work on something else at the same time, but will also reduce your stress levels and make you more effective at what you do. Take a few minutes before you start any task and visualize what you want the end result to look like. What do you want to accomplish? This will keep you focused and on track. Depending on memory is simply not as reliable as writing things down, and can even distract you from everything else you are doing. Write a future task down on a calendar, as a reminder in your phone, or on your to-do list. Then forget about it. When the reminder pops up or you check your to-do list, you’ll see it. Until then, focus on the task at hand. Periodically review how your progress compares with the schedule you set up at the beginning of the project. If you start falling behind, spend some time figuring out why that is. Then you can solve the issue early in the project and minimize lost time. 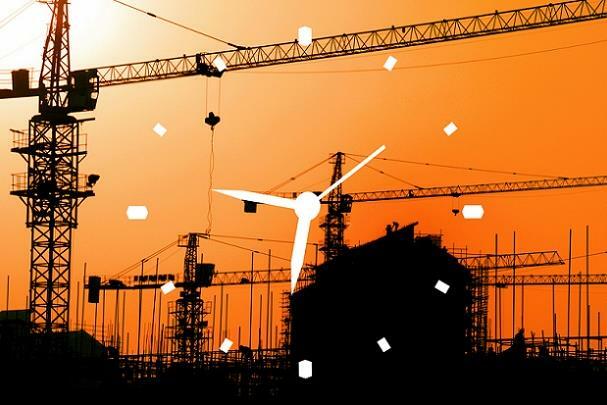 Wise Geek— What Is the Importance of Time Management in Construction?